This chapter in the Renewed Covenant is touted to be the documentation of the birth of the church. However the church was birthed at Mount Sinai. Yes, it’s Pentecost, the event when the Holy Spirit showed up in a mighty way and kicked off a revivial for the Nazarene Jewish Believers. Many forget that Pentecost wasn’t an invention of the early church, but has its roots in Torah. The Disciples of Yeshua were keeping the “Old Testament” Law by celebrating this Feast! Clearly, if the Law had been done away with and Yeshua taught His Disciples so, then they wouldn’t have met to observe this Biblical Feastival. Shavu’ot (Pentecost) also known as the Feast of Weeks. It is a High Holy Day, but it doesn’t seem to be as well-known or as popular as Passover or Yom Kippur (Day of Atonement), but it is in some ways the central Feast, because without Shavu’ot, there would be no Sabbath, or Passover, or Yom Kippur, because Shavu’ot is first and foremost the commemoration of the giving of the Torah which tells us about and commands us to celebrate the High Holy Days as recorded in Leviticus 23. It also commemorates the giving of the Ruach HaKodesh (Holy Spirit) who shows us how to live out the Torah correctly. Pesach (Passover) through Shavuot (including the Feast of First Fruits) should be seen as a continuous process. If you have accepted the true Passover Lamb (Jn. 1:29; 1 Cor. 5:7), you are promised resurrection (1 Cor. 15:20-23) because He, Yeshua is the first fruits of the greater resurrection harvest, and you are part of the body of the Messiah (Acts 2;1 ; 1 Cor. 12:13). Acts 2:1 And when the day of Pentecost was fully come, they were all with one accord in one place. 2And suddenly there came a sound from heaven as of a rushing mighty wind, and it filled all the house where they were sitting. It is traditional to hear the reading of the 10 Commandments and it is also traditional to read the Book of Ruth which is all about harvest, but also hints about Acts, when Gentiles would be welcomed into the Body of Messiah because Ruth was a Gentile who converted to Judaism and married Boaz, a Jew and is also in the linage of Messiah Yeshua. Because Torah is seen as our spiritual food that was given to the fledgling nation of Israel in the Wilderness, it is seen as milk given to a baby and so it is traditional to consume dairy products on this day as well in commemoration of the Torah. Since it’s about first fruits it is also traditional to decorate the home and synagogue with flowers and harvest-y type things. Three days prior to Shavuot it is traditional to abstain from sexual relations and carries some of the restrictions of Yom Kippur, because God commanded the Israelites to purify themselves 3 days before He came and gave the Torah at Sinai. The night before it is traditional to stay up all night and study the Torah with friends, since the Holiday is focused on the giving of the Torah. Yeshua Messiah is the first fruit of the resurrection; He is also the Living Manifestation of the Written Torah. These are some ways Shavuot teaches us a little more about the Messiah. You see, Pentecost is a Harvest Festival but also the celebration of the Giving of the Law on Mount Sinai and what happened at Sinai? In Exodus 19 we see a mighty blast of the shofar (rams horn/trumpet) which represents the mighty wind in Acts. We also see the Mount blaze with fire and did not fire rest on the people in Acts 2? And finally Rabbinic tradition states that Israel and the mixed multitude with them heard the Torah in their own language and in like manner the Jews/Israelites from all over the world, speaking all different kinds of languages heard God’s Holy Spirit inspired Words from the people in their own language! Notice here. The people gladly recived the word that Yeshua was the Divine Promised Messiah thatw as to come (v.41). They continued in the apostle’s doctrine, which as we have already established was the correct way according to Messiah Himself, how to live out the Torah and signs confirmed this (v.42-43). They continued worshiping at the Temple in Jerusalem where sacrifices were being offererd (v.46). This means if they even thought the Law had been done away with and the Temple and its services obsolete why would they even be there!? Secondly, they still mingled with and were accepted by mainstream Judaism, if not they would have been ban from the Temple area. They met in their homes for fellowship and Jews weer coming to Messiah daily (v.46-47)! So we see, The Apostle and the Jewish Believers in Acts 2 continued observing the Law. Here’s a passage that practically all of modern day Christianity believes it is dealing with the Divine renunciation of the Levitical Dietary Laws when in fact the passages has nothing to do with food. First off, Peter’s time of prayer, the sixth hour, which is around noon, which would be the tradition time for Jewish Afternoon (Mincha) prayers. Here we see Peter being and living as a traditional Jew and as such not believing the Torah in any way had been abolished by Messiah. Secondly, the sheet, lowered down by four corners resembles a tallit, a Jewish prayer shawl worn by Jews during Morning, Afternoon and Evening prayers. Just another indication that Jewish custom and tradition was being follow and observed by Peter. Third, it shocked Peter that God would say to kill and eat the unclean, the unkosher animals within the tallit, seeing as Peter declared he had never ate anything that the Torah prohibits as a food source. If Yeshua came to do away with the Law why would Peter, years later still be eating kosher if Yeshua “freed” us from that!? The vision belwildered (Acts 2:17) Peter in much the same way I’m such it shocked Abraham when God told him to preform a human sacrifice and kill Isaac. Both, eating unclean animals and human sacrifice is prohibited by God. It was a test of faithfulness, trust and obedience. Also it was a shock value lesson to bring across a very important point that God didn’t want Abraham or Peter to forget. In Abrahams place, that God keeps His promises and provides and in Peter’s case we will soon see. The vision Peter had, had nothing to do with his diet but with how one viewed Gentile’s, either non-Jews or Hellenized Jews who lived as Gentiles. Note that the vision was given three times and three Gentile men showed up at the door looking for Peter. For issues regarding ritual cleanness Jews and Gentiles didn’t chum around and never kept company at each others houses. This was not a Torah command but a Pharisaical tradition to separate and not have relations with Gentiles. But, because of the vision, when the three Gentiles showed up at the door wanting him to come with them to Cornelius’ house, he went. Why? Because it clicked for Peter what the vision meant and he declared such when he was speaking in Cornelius’ home. Peter never mentions the Levitical dietary Laws being done away with as being the meaning of the vision, such an interpretation isn’t found anywhere in the Scriptures. This interpretation has been made by people outside the context of Scripture based on their assumption and bias that the Torah has been done away with by the advent of Messiah Yeshua. Peter then is questioned by the Jewish bretheren regarding his excursion to the house of a Gentile, and Peter recounds the vision and AGAIN confirms the interpretation of the vision to be dealing with people and not food. This shows not only Peter continued to eat kosher years after Yeshua ascended into heaven but the other Jewish brothers did also! The Jewish bretheren confirmed and also concluded that Peter’s vision was about people and not food. This cannot be any clearer and definitive that Peter’s vision was not a Divine changing of the dietary Laws. This vision is not unique to Peter. Hosea prophetically had a similar vision symbolically identifying Gentiles as unclean animals and that one day they will lie down peacefully together with God’s chosen people, symbolized by clean animals, symbolizing fellowship and inclusion. This chapter in Acts is often used to declare that the Law has been done away with and is not applicable to the Gentiles coming to faith. We will see this is not true. The argument is based on the false notion that one has to be circumcised in order to be saved. These were unbelievers from outside the Jerusalem Council who believed salavtion based on works. This issue was taken by Paul and Barnabas to the Jerusalem Council to be discussed and hashed out. Again, circumcision as a means of salvation is the issue here, not keeping the Law. There was some Pharisees apart of the Jerusalem Council, (yes, Pharisees who accepted Yeshua as the Divine Promised Messiah) they were the ones who agreed that circumcision was a necessary requirement in obedience to the Law but not as a means of salvation. The Pharisees also mentioned the necessity to teach Gentiles to obey the Torah, again, not for the purpose of salvation, but for the purpose of obedience to God`s Laws. Peter pipes up and agrees that the Gentiles are to be included and welcomed and are saved into the faith by faith and not works and refers back to the vision God gave him in Acts 10. James, the leader of this council confirms Peter’s vision regarding the inclucsion of the Gentiles and uses Scripture to back this up. So, what of this yoke that is mentioned in verse 10? And, the troubling of the Gentiles in verse 19? Peter was making the point and implied that despite our fallen human nature we can obey the Law out of love and obedience, as we should, because it is doable and not a heavy burden (Deut. 30:11-16, I John 4:23), but not keep it perfectly without ever breaking it, and so circumcion would be pointless and is an invalid means of salvation. Because after you become circumcised and sin, as Paul states later in Romans, your circumcision would be like uncircumcison (Rom. 2:25). Circumcison (faith) of the heart is what counts. And so the unreasonable burdensome yoke Peter is referring to is the doctrine that circumcision saves you. Salvation via the Law is impossible, that’s why Grace is necessary. Now what of James’ words? Again, James agrees that the Law has not been done away with but that no one is to trouble the Gentiles with the false doctrine regarding salvation by circumcision. As confirmation here is the follow up verse to what James brought up in vesre 19. So the verdict of this debate was that no one is to bother the Gentiles by falsely teaching that one has to be circumcised to be saved but that obedience to the Law would be taught as the Torah is read every Sabbath in synagogues and so they will eventually learn how to correctly obey the Torah. Because it is simply unreasonable to expect new believers to automatically know and keep all the Commandments. But in the meantime, because these Gentiles are come out of pagan worship and idolatry they should immediately keep these four laws from what the Rabbi’s calle “the Heart of the Torah” so that there will be no conflict with Jews and Gentiles fellowshipping together at the table over a meal. Because all of these things were related to pagan worship; strangling a sacrifice, temple prostitution, drinking blood and worshiping idols. In verses 1-4 Paul speaks of the Torah as a Ketuvah (a Hebraic Marital Contract) which as mentioned previously in this book that that is exactly how Jews view the Torah, as a Ketuvah between us and God. Adultry in the spiritual sense has always been equated with idolatry; worshipping and or putting anything before God Himself in service, love, loyalty and importance. A marriage contract is only valid if the two parties are living and as such are under obligation to be faithful and obedient to the contract (vows). Upon the death of either spouse the living is then released from adherence to the conditions of the Ketuvah. Interestingly enough God divorced Israel, the Northern Kingdom and remained married to Judah despite her unfaithfulness and for Him to remain faithful to His promises to David. The Torah says once a couple gets divorced and she marries another man, if she then decides to leave her new husband and return to her first husband she can’t (Deut. 24:1-4). God can’t break His own Laws. So how did God solve this conundrum of taking Israel back after she renounced her adulterous (idolatrous) ways? Or did He divorce Her forever? By sending Yeshua, God in the flesh to die and re resurrected a new man. Therefore dieing and freeing Israel from the terms of marriage and divorce and returning with new life from the dead so as to legally be able to take Israel back as His Bride. In like manner Paul speaks of us dying to sin, our idolatrous (adulterous) ways, being raised in Messiah and returning to God in marital faithfulness. Then Paul details in v.5-11 how our sin nature, our fallen inclination to knowingly break the Law and please the flesh is the real culprit, not the Law itself because Paul goes on to say in v. 12-14 that the Law is GOOD, RIGHTEOUS, HOLY and SPIRITUAL. Verse 6 speaks of how obeying the letter of the Law is not enough. But we must also obey the spirit of the Law as well. In Vesre three “God’s Righteousness” and “Righteousness of God” is referring to God’s standard and expectation of Righteousness which is His Law, His Torah. “Established their own righteousness” means the Jewishinterpretations, customs, traditions which in many cases where man’s additions to the Torah and how it is to be lived out. Verse four is where the misunderstanding lies. The phrase, “Christ is the end of the Law.” Here we see a clear example of translation bias, the Greek word “telos” does mean “end” but is more accurately and commonly rendered, “goal.” And some translations have corrected this error. Messiah Yeshua is the goal of the Torah for righteousness to everyone who believes. Christians typically liken the fading of glory from Moses’ face as the passing away of the Law. What Paul is really saying is that the Written Torah is glorious, but not as glorious as the Living Torah, Yeshua the Messiah! Not that the Torah has faded away into extinction, but that the Written Torah is not as glorious and bright as the Living Torah (Yeshua). The full moon is bright and glorious but fades in comparison to the sun itself, which is brighter and more glorious. Sometimes the moon and sun are out at the same time, early in the morning. You can see the moon still, but it is nothing compared to the sun in brightness. Just as the moon reflects the glory of the sun and that is why it is bright, Yeshua is that sun which His glory is fortold and reflected in the Torah. He is the ultimate source of the glory. Similarly, Moses too was the recipient of the reflection of God’s glory. Paul was not condemning Peter for keeping the Law or even living in opposition to it. He was calling Peter out on the carpet for being a hypocrite. As we explained in the book regarding Peter’s vision in Acts 10, the vision we clearly demonstrated was about people, not food. That the Gentiles were just as accepted in Gopd’s eyes as the Jews. Prior to this vision Jews had no meaningful fellowship or relationships with Gentiles. When Paul was telling Peter he lived like a Gentile and not as a Jew and not compelling the Gentiles to live as Jews, Paul was not speaking of Toprah but of Jewish halacha, the Jewish customs and traditions associated with obedience to the Torah and not the Torah itself. The crux of Galatians can be understood as putting the cart before the horse in that the Galatians were putting the Mosaic Covenant before the Abrahamic Covenant, Works before Faith. This passage speaks of the Law as a Pedagogue, a guardian, a tutor, and in the most literal translation of the word, “child-conductor,” similar to a governess, nanny or more accurately, a body guard. In ancient times wealthy families would hire these “child-conductors” to guard and protect the child on their way to their teacher. The traditional Christian antinomian spin on this passage makes the Torah out to be a tall, boney, all dressed in black, school teacher of the 1800’s with a stern scowl, wired rimmed specticals and a hooked nose with a pointer, ready to whack us when we act up or get a question wrong. This is not the picture Paul was painting. Paul was trying to illustrate that the Written Torah protects us and hems us in (not binds us in handcuffs as if we were some naughty juveniles delinquents), as it leads us to our teacher Messiah the Living Manifestation of the Written Torah who teaches us how to live out and obey Torah properly. Alligoracally we have two Mothers, two Mountains, 2 Covenants. 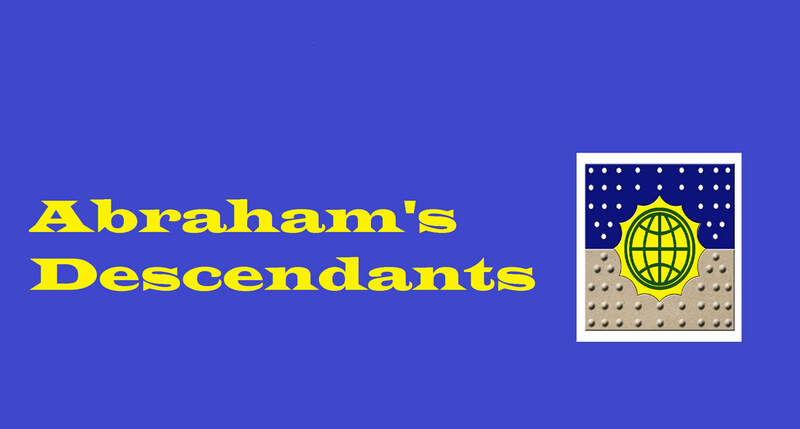 Hagar and Sarah, Sinai and Zion, The Abarahamic Covenant and the Mosaic Covenant. We have already extablished in Chapter Three of this book that Paul did not convert to a new religion called Christianity, nor did he renounce the Law, nor did he teach others to do so. In a rush to shew away the Law like a pesky, blood sucking mosquito, one is quick to misinterpret the Pauls letters to be antinomian (Agaisnt the Law) as evenPeter alluded to (2 Peter 3:15-16). But one often forgets or ignores Paul’s defence and praise of the Law (Gal. 3:21, 5:14, 22, Rom. 3:31, 7:12). Regarding the terms “under the law”, and “curse of the law”, these refer to the penalty under the law that has been done away with and “nailed to the cross”. That penalty is death. That is what grace is all about. Our sin debt is what has been nailed to the cross, not the Torah. The Torah was never the problem, our hearts were. The Torah was not imperfect, our hearts were. The Greek phrase that causes the confusion is “certificate of debt… having nailed it to the cross.” It is believed there is a custom Paul may have been referring to where a handwritten debt was marked out with an “X” known in the Greek as a “Chi” and using this visual analogy he is saying the Cross of Christ “crosses” out or “X” out our sin debt. The context of this passage is the Levitcal Preisthood and its sacrificial system. We have already discussed this in great detain in the book under the heading “Salvation and Sacrifice” Chapter Four, and how the sacrificial system has not been done away with but has been temporarily put on hold until the conditions are right to implement them again. This passage deals with how Yeshua came to RENEW (see: The “New Testament is Not New” Chapter 2) and sweeten the Covenant that already exists and has been established and to bring the Torah and sacrificial system into its full and complete meaning and understanding. This passage speaks of Yeshua accomplishing what the Levitical sacrificial system could not and that is, take away sins. Its not talking about the sacrificial system being abolished. The sacrificial system could only COVER the sin debt, much like a credit card accumulates debt until one can pay it off. Yeshua came and paid the sin debt in full. He didn’t cover sin like the blood of bulls and goats, Yeshua actually took away, removed, dissolved and did away with the sin forever! The Torah casts a shadow foretelling the coming of Messiah The Cross casts a shadow reminding us of the sacrificial system and why He came.